For the third year in a row the brains (and Mikes, AJs, Lukes, Owens and Stephens) at Kotaku Tower have put together a list of eclectic toys, gadgets and doodads - from super hero hoodies to supernatural castles, to give and ask for. Now, for your viewing pleasure, Kotaku's 2009 Gift Guide of Obscene Nicety and Sublime Naughtiness. Gin & Titonic Ice Cubes ($6.95): Every gin & tonic is now an adventure, and best of all, in this one, 1500 people don't have to die. PK Yomega Yo-Yo ($17.00): For the Earthbound/Mother fan—or even the dedicated Super Smash Bros. Brawl player—Fangamer's PK Yomega yo-yo offers the Nintendo-loving gamer something to do with their middle finger when not attached to a controller. Pair it with a Shirtness Ness shirt for added authenticity and maybe a Yomega yo-yo trick DVD for the ultimate in learning how to walk the dog like a pro. Lightsaber Chopsticks ($17.99): Not as clumsy or random as a spork, an elegant utensil, for a more civilized age. Dig into your sushi or soba with these two-pair sets, in Yoda Green and Vader Red, or Luke Blue and Yoda Green. But with the blast shield down I can't get anything in my mouth! How am I supposed to eat ...? Graphic Novels, Graphic Novels, Graphic Novels ($9-$20): Every week brings new video game comic books to your local comic shop, to the point where we've started a weekly round-up. but while some enjoy visiting the shop every Wednesday, others prefer the weight of a book in their hands and not having to wait for the next issue to arrive. Video game comic trade paperback collections abound, with popular titles like Street Fighter, Gears of War, Resident Evil, and Halo all represented. InStockTrades.com carries just about everything a video game comic fan could want at substantially discounted prices. Tell them Kotaku sent you, and they'll spend hours trying to figure out what the hell you are talking about. Ganges #2 ($7.95): Or, if you think your potential gift-getter is just not a comics-based-on-games type, than prove you have refined tastes and purchase him or her one of the best comics about games, one that doesn't even look like it has anything to do with games. The wonderful Kevin Huizenga, who writes a damn good comic book about walking down the street looking at birds and such also writes and draws a damn fine one, Ganges #2, about what happened to his life in the 90s when he played way too much Doom. It's subtle, smart, beautiful and sort of also about Doom. But more about life. Dismember-Me Plush Zombie ($12.99): Zombies may be all the rage in video games these days, but they're seriously under-represented in stuffed toys and plushies. Fortunately, Think Geek has your back with this nifty Dismember-Me Plush Zombie. The stuffed zombie can be pulled to bits and put back together willy-niley. Better still, it comes with it's how handful of brains so you don't have to worry about it getting late-night munchies. Tiny Bobomb Earrings ($8): Not only are they cheap, but they're cute enough to dupe most chicks into wearing them once out of guilt and game-related enough to make you smile when you see them. Final Fantasy XIII Potion Elixer ($6.99) Can't wait to play Final Fantasy XIII? What about drink Final Fantasy XIII? This "potion elixer" from Japanese beverage maker Suntory and Square Enix offers players a taste of Final Fantasy. Yum. Solio Charger ($39.95): Whether you're zombie head hunting in the frozen tundras of Alaska or hiding out from a Russian surprise attack in Virginia, this solar-paneled charger will keep you gaming on the go. Just hang the panel from a tree or your backpack to charge the battery in the sun and use after-market power tips to recharge your DS Lite, iPhone, PSP or even your GameBoy Advance. The Ellis Look - Left 4 Dead 2 Trucker Hat & Bullshifters shirt ($38.98) Give your loved one a blue collar makeover with this tasteful ensemble modeled by stock car racing enthusiast Ellis from Left 4 Dead 2. Not only does this set help the recipient on your list overcome the "No shirt, no shoes, no service" restriction, it can tame the most wild mullet, while offering ample ventilation to the head. Freakin' Swords ($40+): It's a video game collectible! It's a personal defense device! Everybody loves swords, daggers, maces, and shields, and even if they don't, they aren't going to give you crap about the gift, because they know you are armed. King of Swords, the Georgia shop we profiled earlier this year, carries a wide range of video game replica weapons, from the $40 Dagger of Time here to some truly epic God of War weapons that don't belong in this category. Go crazy with it. To complete the look, for next year's Halloween party, maybe, pair the set with some Dickies workwear, a pair of Red Wing boots and, for amusing Southern-flavored anecdote purposes, the selected works of Jeff Foxworthy. Pan Flute ($30+) Because you waited until the last minute to ask for anything and the only game you don't have is The Legend of Zelda: Spirit Tracks, well, maybe a real pan-flute would be appropriate so you can feel like the new Link? 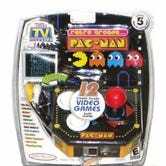 Pac-Man Retro Arcade Plug & Play TV Video Game System ($35.95): Now you'll have something to do if you're roped into going to their house next holiday season. Dead Space Isaac Figure ($20): There are loads of video game action figures on the market these days, but our pick (at least for Western games) is NECA's take on Isaac, from Dead Space. Why? Because it's Isaac from Dead Space. Persona 4: Kuma Figure ($45.90): Everyone's favorite circus-tent wearing cute bear gets immortalized in soft vinyl form. Îf only we could be immortalized in soft vinyl. Hard vinyl, even. Kuma is outfitted with a non-functioning zipper on his back. It's there just for looks. Captain America Hoodie ($60): Is it a hoodie or a cowlie? This zip-front jacket sports a full winged cowl, turning you from hipster to crimefighter in a flash. Continuity error! Cap's ears poke out of the cowl in the comic books. Does this getup come with a No-Prize? Jasman HALO 3 Covenant Plasma Pistol Laser Pursuit Gaming 2 Players Set ($87.94): To kids, it'll just be another plastic gun set to pretend shoot each other with. To adult fans of the game, it'll be THE plastic gun set to pretend shoot each other with. World of Warcraft Alliance Tabard ($99): We're not the world's biggest WoW players here, but we must admit, anything game that inspires tabards as officially licensed merchandise is OK.
30 Pounds of Gummi Bears ($69.00): 30 pounds of gummi bears, all at once, all for you. The only possible reason one could have for not wanting to stick their head into a giant box filled with gummi bears is that they simply hadn't thought of it yet. You don't even have to eat them. You could just put them in a giant clear case and stare at their majesty for years on end. A year of Edge ($76 U.S.): There's a good chance you have a Game Informer subscription, but do you have an Edge one? England's best gaming magazine is full of news, interviews and reviews, but the best thing about the magazine may be its visual-design. An Edge cover is often one of the best-designed gaming visuals of any given month. And sometimes, a spiffy poster is inside that's even better. Final Fantasy VII Cloud Strife & Hardy-Daytona Action Figure ($79.90): You're not just buying this for the Cloud fig, but for the bike. It's got rotating tired, movable forks and steering — working shocks, too! Vroooooooooooom. Burton Sleeper Hoodie ($99.99): I travel a lot and in the past I've always used a hoodie as my impromptu sleeping bag. I just pull the hood down as far as it will go, pull my hands up into the sleeves, curl up and go to sleep. The Burton Sleeper Hoodie takes that idea and pushes it to the extreme. A contoured light shield pulls out from the back of the hood to cover your eyes properly, ventilation underarm holes and cuff thumb holes keep the jacket in place and comfy, and a built in inflatable neck pillow optimizes the catching of sly Zs. If that weren't enough, the hoodie also comes with an eye mask, compact toothbrush and even a fake United Red Carpet Crew card with the name Frank Abagnale Jr. on it. Score! Supernova Riot 2 Trail-Running Shoes ($110): Running shoes are fine if you're out for a Sunday jog, but when things get rough and you're being chased down by hooded thugs, angry aliens or hordes of zombies you better be prepared to run places other then flat pavement. Adidas' trail-running shoes feature wider, deeper tread for grip on anything from cement to dirt and mud and the thermoplastic urethane arch shanks protects your feet from the pointed rocks found on off-road scrambles to safety. Custom 1-UP Mushroom Crochet Scarf Diy Mario Bros. Nintendo Mens / Womens Limited Edition ($150): So cute and so warm, this scarf is a huge hit with the ladies and instantly recognizable even by those who don't regularly game. If you really want to go for gold, order the red mushroom variant for yourself and thereby become THE geekiest chic couple this holiday season. Astro A40 Headset ($249.95): Our review should have said it all, but we'll say it one more time. Astro's A40 Sound System, including headset and MixAmp, is one of the best personal audio solutions we've ever used. It's perfect for gaming late at night when everyone else is fast asleep, visions of sugar-plums dancing in their heads, and you need to shoot some zombies, Nazis or Nazi zombies! Custom Console Painting ($125-$149): Take your loved one's console away for Christmas! Don't worry, they'll only be angry until you tell them they'll be getting it back with a brand new paint job, courtesy of custom-painting specialists ColorWare. ColorWare with apply a professional paint job to your PS3 Slim, Xbox 360, Nintendo Wii, or Nintendo DSi, with tons of color options to ensure that your creation is truly unique. As an added plus, while the conole is being painted, the target of your affections will have no choice but engage in actual human interaction. Everybody wins! Exotic fresh fruit every month ($250-$450): What does new fresh fruit being shipped to your doorstop every month have to do with video games? Nothing! Aren't you trying to show people how well-rounded you are? Without, you know, physically becoming too well-rounded? 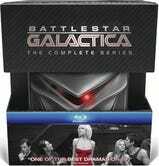 Battlestar Galactica: The Complete Series ($200-350): It's all of Battlestar, in high definition, in the single box. About as perfect a gift as you could hope to receive give. Zelda: Ocarina of Time ($119.99): It's Link from the classic Zelda title, Ocarina of Time! Limited to only 2,500 worldwide, the 7-inch statue has been hand cast and hand painted. Each is individually numbered. Each one is Link. I-sopod Isolation Float Tank ($25,500): Playing portable video games on your PSP, Nintendo DS, and iPhone is the new book reading - someone is always walking up behind you with "What are you playing? Is it good? You look annoyed! What are you doing with that knife?" Enter Floatworks' I-sopod isolation chamber. No really, enter it! You'll float nearly weightless on heavily salted water, isolated from all outside interference and free to play Pokemon, LittleBigPlanet PSP, or Puzzle Quest in complete peace. As an added bonus, you can load the built-in MP3 player with sci-fi sound effects and pretend you're in a spaceship. Halo Warthog (Contact WETA Workshop for pricing): Nothing says "I should really be in a unique tax bracket and pay a much higher percentage of my outlandish earnings" than a custom, WETA Workshop designed, fully functioning Warthog from the Halo series. We doubt that WETA will offer you a functioning mounted gunner position, but if you've got a checkbook big enough, the Halo fan on your list will probably thank you for the hundreds of thousands you'll invest in recreating the legendary ride. Complete Assassin's Creed Altaïr Costume ($1,156 total): Of course Ezio is all the rage now, but give Museum Replicas time, it'll have that Da Vinci hang glider ready for you soon enough. Meantime, this ensemble recreates the look of the series' progenitor, Altaïr, with much of its cost devoted to badass weaponry - throwing knives, short blade, retractable blade and longsword. Should the getup be too pricey, tunics for Robert de Sable and William of Monferrat are also available. Redo Your Living Room With Super Mario Brothers Stained Glass ($700 for four window panes): Made with the "Tiffany" foil method of stained glass, even one window would be a classy addition to anybody's living room. But a whole stained glass Mario makeover? That's a pricey gift beyond the bounds of generosity. Gift wisely. The Arkeg ($3500): This hybrid arcade cabinet and ... keg. MAME cabinet. Beer. "Fully assembled gaming/draft system," the seller's site says. 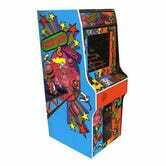 Donkey Kong, Donkey Kong Jr. and Mario Bros. All-In-One Arcade Cabinet ($3,990): There's something about playing retro games on an arcade cabinet in the privacy of your own house. And that something is usually very expensive. Games run on a 19 inch monitor, outfitted in an old style decorated cabinet. Costs lotsa monies. Tamerlane ($660,000): Love books? Why not splash out and get that special someone in your life an original copy of Edgar Allen Poe's "Tamerlane & Other Poems", the first work ever published by the man. Pricey, yes, but if you like that "old book smell", this will be reeking. 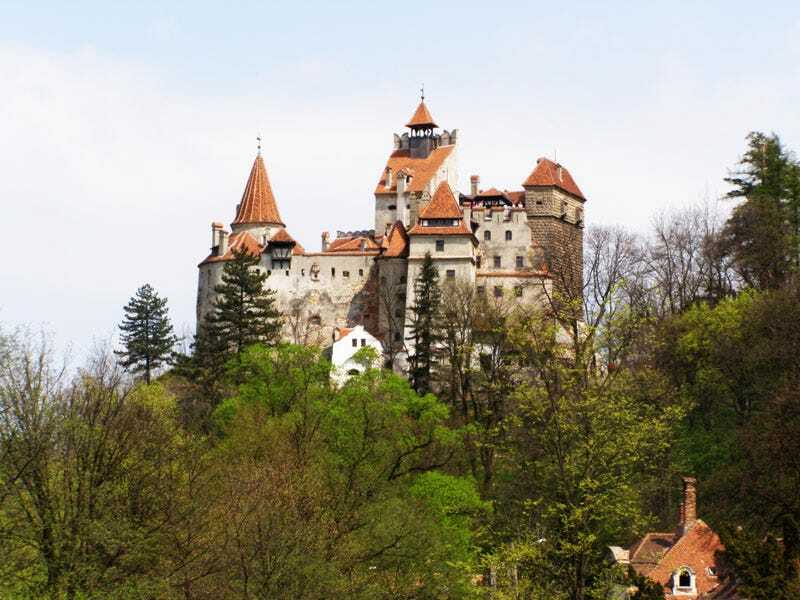 Bran Castle ($135 million): Built in 1378 to defend against the encroaching Ottoman Empire, Bran Castle is most famous for allegedly being used by Vlad Tepes as the jumping off point for his raids into Transylvania. The castle was one of the inspirations that led Bram Stoker to write Dracula. The castle includes loads of history, certainly some ghosts, and at least one hidden staircase that allows would-be vampires to get from the first to third floor without having to bother with the second. Technically, you would have had to pick this castle up by January of this year, because the owners have decided to turn this ancient structure into a museum. But another recession or a solid offer and I bet this bad boy would sell in an instant. Emerald Cay ($48.5 million): This 2.3-acre island in Silly Creek, Providenciales includes two swimming pools, tennis and volleyball courts, two boat slips, several cottagesm a 30,000-square-foot mansion and secure access via a remote-controlled swing bridge.